I've always wanted to be one of those people that could say "I made this from my garden." Problem is, I wasn't blessed with much of a green thumb or the patience to garden. But I still have daydreams of huge, lush gardens in my backyard like my grandpa had. Or even a small container garden full of tomatoes that produce many that I start canning and giving them to friends and neighbors. Over the years I've tried, and failed. BUT this year I have one plant that I bought at a farmer's market, a basil plant. It just won't quit on me, even when I forget to water it or I pull off too many leaves to make a tomato basil salad. Yeah that's right I'm making things from my garden...my garden of one mighty basil plant in a pot. I'm making salads and and putting basil on my pizza and in pasta dishes and EVEN MAKING MY OWN PESTO! Whaaaaat? Yeah, my own pesto. 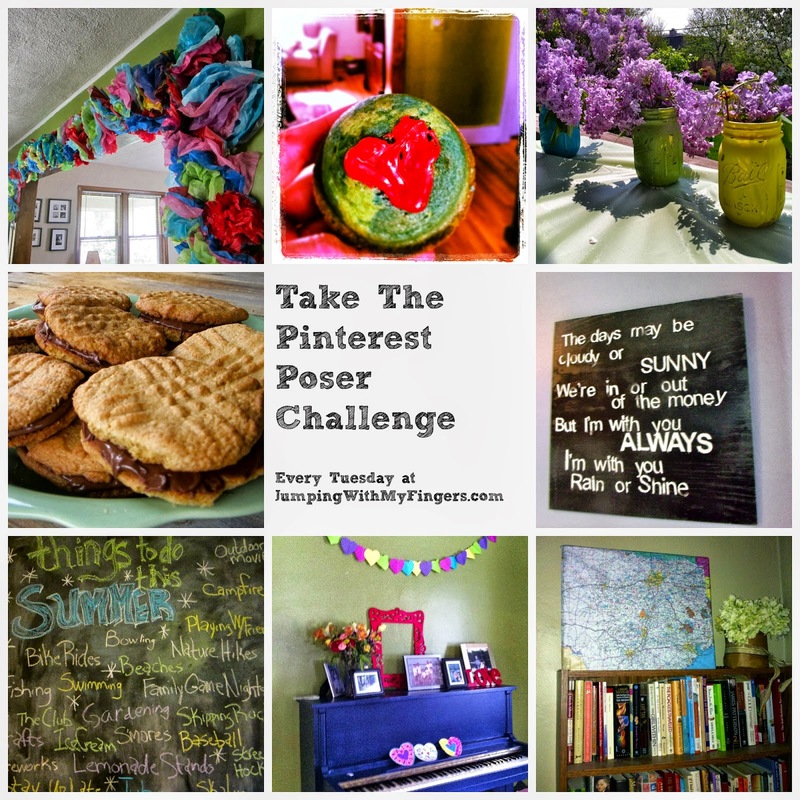 Today's Pinterest Poser Challenge* is DIY Pesto. Check it. Based on this pin on Pinterest from Gimme Some Oven, I made my own pesto and THEN made a pesto pasta that the whole family loved. 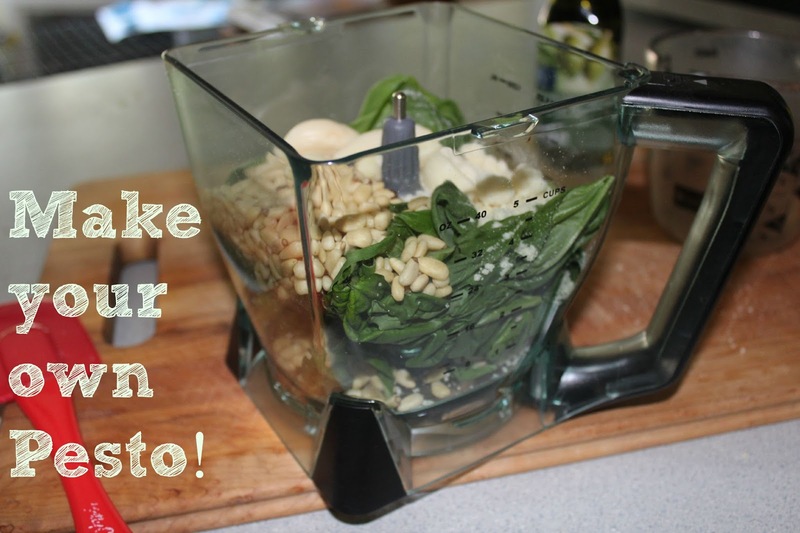 In a food processor or blender, blend together basil, nuts, garlic, and cheese. Pour in oil and then add in salt and pepper. Remember to scrape down the sides in between blending to make sure it's well-blended. It seriously only took me about seven minutes! Then for dinner, I cooked up some gluten free spaghetti noodles and boiled some chicken breast and tossed it all together with the fresh pesto. Boosh! Dinner! Totally gluten free and delicious. I think what this post is all about is not giving up on your dreams. Sure my garden is just one mighty basil plant in a pot, but I just made part of my dinner with it and now I'm bragging about it on the Internet just like I dreamed when I was a little kid. Who knows? Maybe next year I will have two plants or three! How is your summer going so far? Are you an amazing gardener? Got any tips? Any recipes? Have you made anything inspired by Pinterest lately? Let me know in the comments or over on my Facebook page. I grow basil too! I love being able to walk outside and just grab a few fresh leaves. :) I will have to try your pesto recipe - looks delish! I had a basil plant once. It didn't end well. It definitely didn't end with a delicious salad or any pesto pasta.